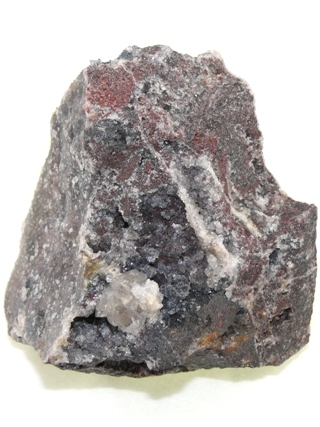 A rich mineral mix matrix with Goethite, and quartz dusting. Goethite is blackish brown mineral known as a stone for enhancement of soul life. It aids in grounding flights of fantasy to the earth to have the necessary roots to fully flower as a human being. It's properties include releasing grief so aiding avoidance of depression, detachment and self-destructive fires of anger and rage.